The artist book Beast of Mind is part of a series Beliefs in Motion. This series reflects the progress of beliefs from the natural process of growing. I use illustrations from my childhood that I used to contemplate as reality, and I deconstructed them as a way to show how the mind in motion creates new images. Beast of Mind has an illustration that used to be frightening like something that devours me. The cover and the illustration printout in red make reference to blood as a representation of the original feeling of destruction. 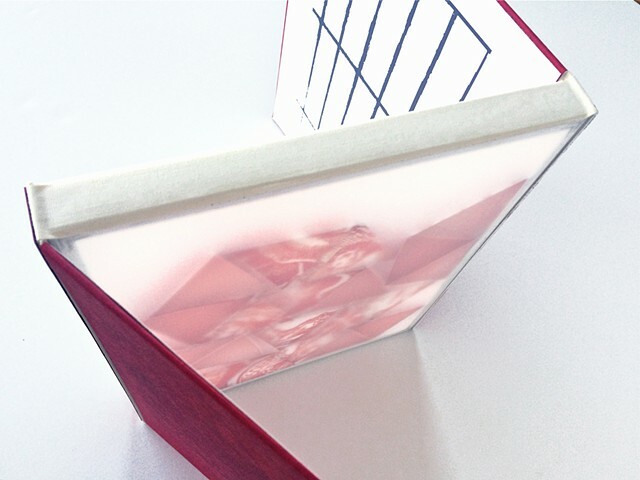 A cage print inside shows an opening to the kaleidoscopic image that shifts every time the artist book moves.